Established in 2004, providing ASIIP accredited training in Supervision for Health Professionals. Most of the participants on our professional courses and training events are counsellors, therapists, counselling psychologists, coaches, health care workers and medical practitioners. Many are based in Cambridgeshire, East Anglia and neighbouring counties as well as London, and some have come from as far afield as Cumbria, Liverpool, Wales and Cornwall. We are presently receiving applications for this very popular training. Anthea Millar MA is a co-founder of CST, a BACP Senior Accredited Counsellor of 35 years' experience, and also a supervisor and counselling & supervision educator. She is a Vice President of the Adlerian Society, a training moderator and assessor, co-editor of its journal and author of a number of publications. As well as her work in the UK, she is on the faculty of ICASSI, an annual international psychology conference, and is regularly invited to provide training in the UK and abroad, recently Canada, USA, Germany and Malaysia. 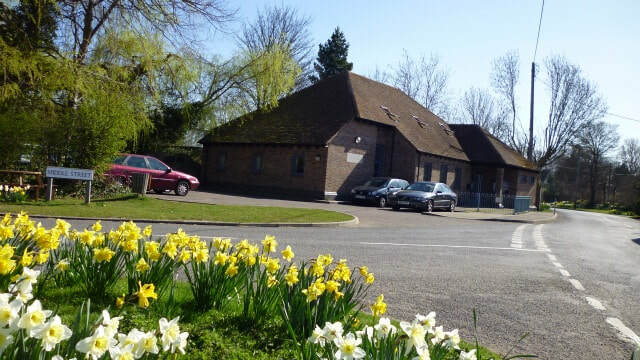 Thriplow Village Hall, where we hold our training events, is a modern facility located in the peaceful village of Thriplow, a few miles outside Cambridge, within easy reach of the M11, A1 and A10. The full address is Middle Street, Thriplow, Cambridgeshire, SG8 7RD. The Village Shop (owned and run by the villagers) is conveniently right across the street, and The Green Man pub is a short walk away. There is free parking at the hall. This workshop will offer an experiential opportunity to reflect on how creative action approaches can be appropriately integrated into the task of supervision. Anna will draw on some of the theory and techniques outlined in Creative Supervision Across Modalities (eds A. Chesner and L. Zografou). The intention is to model, critique and reflect on a couple of live sessions, using a variety of supervision specific approaches. There will be an introduction to some guiding principles for incorporating creative action methods in supervision.